Details about Kitchen Disco by Foges, Clare, Paperback Book, New, FREE & Fast Delivery! Kitchen Disco by Foges, Clare, Paperback Book, New, FREE & Fast Delivery! Description At night when you are sleeping There's a party in your house, It's a pumping, jumping, funky bash When all the lights go out... When the sun goes down, the Kitchen Disco starts up - and all the fruit in the fruit bowl come out to play. There are lemons who break-dance, tangerines who twirl and some very over-excited apples. Author Biography This is Clare Foges's first book. When she's not writing about dancing fruit, she works as Speechwriter to the Prime Minister. Al Murphy is a versatile illustrator whose work has appeared in newspapers, advertising and apps, and now children's books. He has lived in London, Berlin and New York. Immediate payment of £5.87 is required. My girls picked this book out at nursery to bring home and loved it, so when they left nursery i decided to buy the book, it is so fun and my girls love it. I love it. Haven't yet read it to my 5 year old granddaughter, but she enjoys rhyme and rhythm so should be read often. A book that the children love and is good to read. 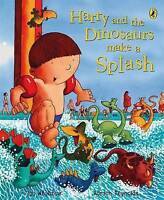 Wasn't long before the nursery children were all chanting bits of this book. My 2 year old absolutely loves this book. Great fun. Amazing fast dispatch and good quality book.